The file also includes MACD and RSI based on DEMA. SMA and EMA are the most popular one. They work nicely in a stock market, but in faster markets (or lower time frames) they tend to lag. That is why traders kept on improving averages and that is why we can use other types of averages. DEMA is one of them. The double exponential moving average (DEMA) was developed by Patrick Mulloy to reduce the lag time. It was first described in 1994, in the Technical Analysis of Stocks & Commodities magazine in Mulloy’s article “Smoothing Data with Faster Moving Averages”. You can see that DEMA averages follow price more closely. Go to unzipped folder. 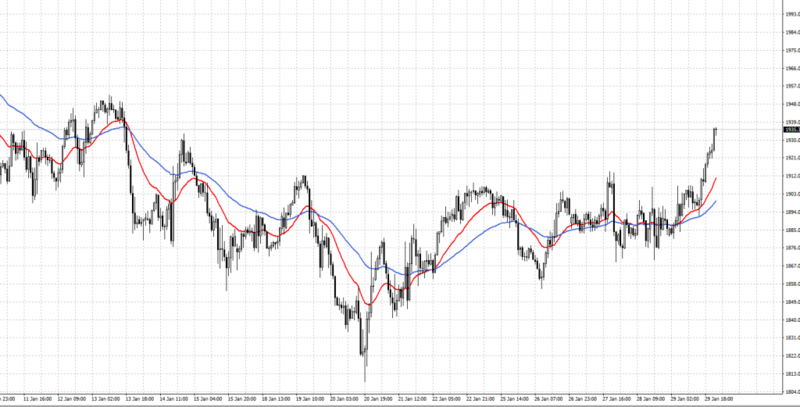 Move content from MQL4/Indicators to the same folder in MT4 window. Do the same with templates. 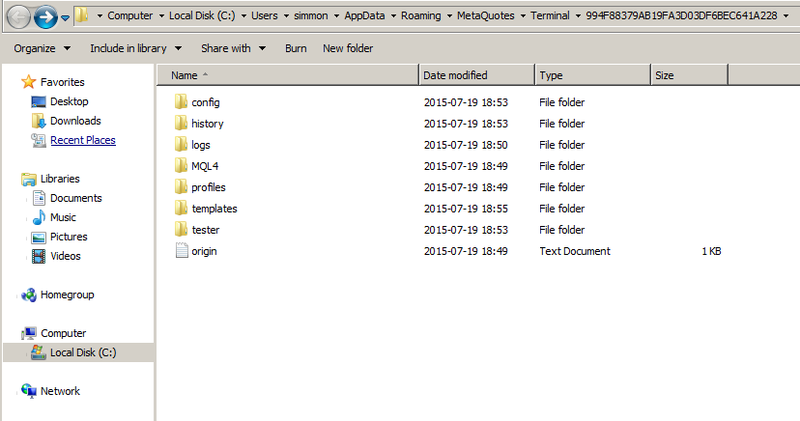 Go to the Templates folder and copy content to the same folder in MT4 window. Questions? Leave a comment and I will try to help you. Retail trader. I trade mostly Forex, indices and some commodities. I prefer technical analysis, but I do not forget about fundamentals. It took me a while to be profitable and learn how to trade. I like trading, but I also like to write about it and teach other people. That is why I started this blog. If you like this content check my Instagram, Facebook page and subscribe to the newsletter. which DEMA can be used for 1 hour time frame ? i downloaded the file and it contains many indicators and a timplate and i have some questions. 1- is the difference between DEMA MACD and 3 DEMA MACD that the signal line is another DEMA in the 3 DEMA MACD ? 2- what is DEMA RLH ? I put it on a chart and i found out its not the same as DEMA with the same period and when i tried to edit it i found it contains one EMA period but 3 colours so please explain what is difference and what is wrong about it. I usually use settings like RSI 9 or 14 and for MACD 12,26,9 or 21,33,9. But it's me. You may find that different settings work better - depends from FX pair, from timeframe... That's why you have historical data so you can see how each indicator worked in the past and you can optimize indicator for current FX pair. Is it possible have a DEMA indicator with dashboard MT? Welcome to fibonaccitraders.net, fibonacci trading blog. It is a place where you will find a ton of free trading materials. I write about trading with technical analysis, mostly about Fibonacci trading joined with Pivot Points. What is Fibonacci number and ratio? Interesitng situation on higher TFs – will last quarter be on fire? Copyright 2019 - fibonaccitraders.net. All rights reserved.